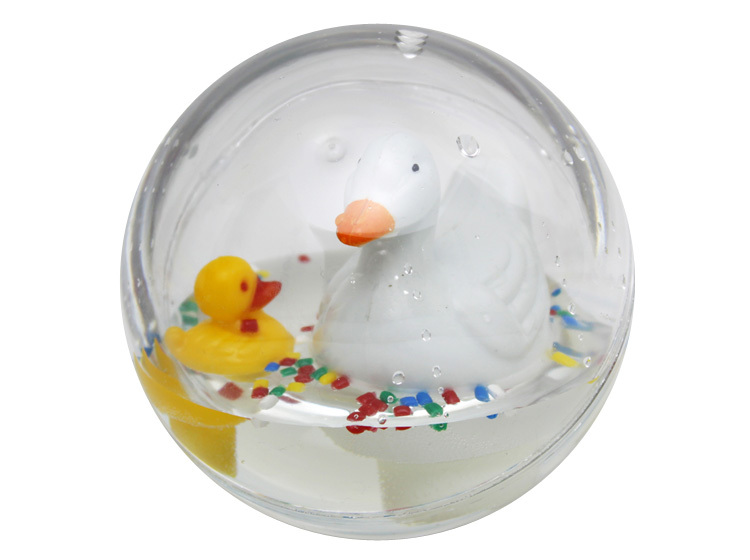 The Mother Duck in yellow or white color with a duckling in yellow or red color. 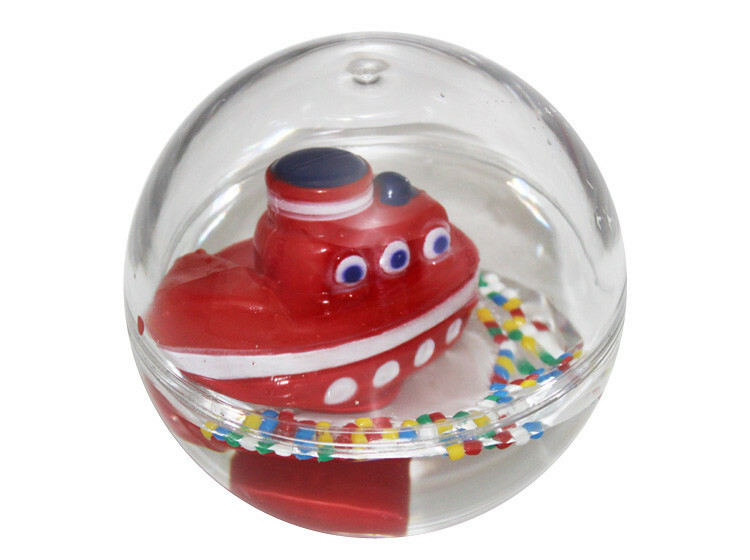 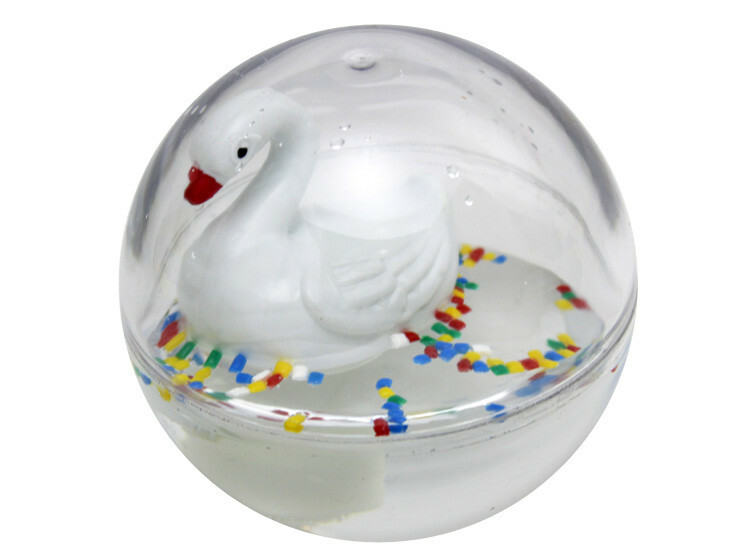 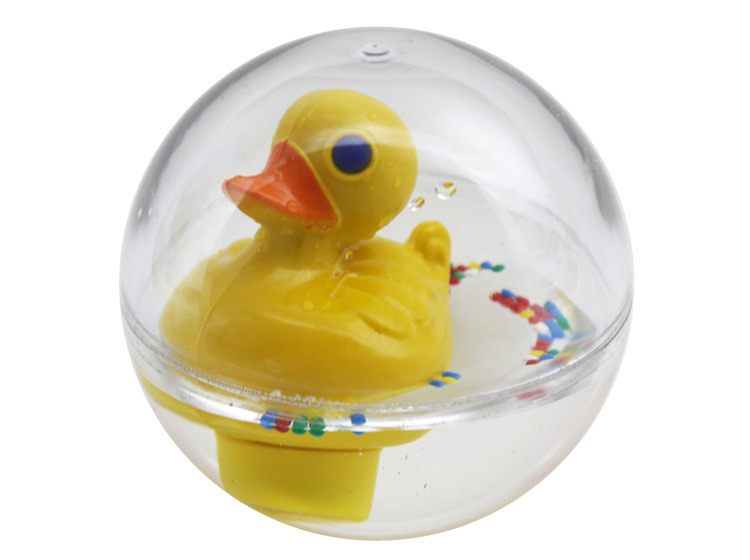 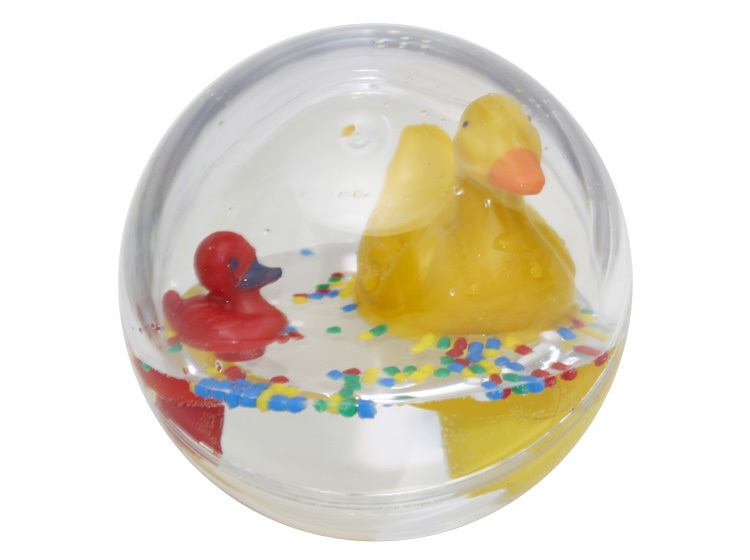 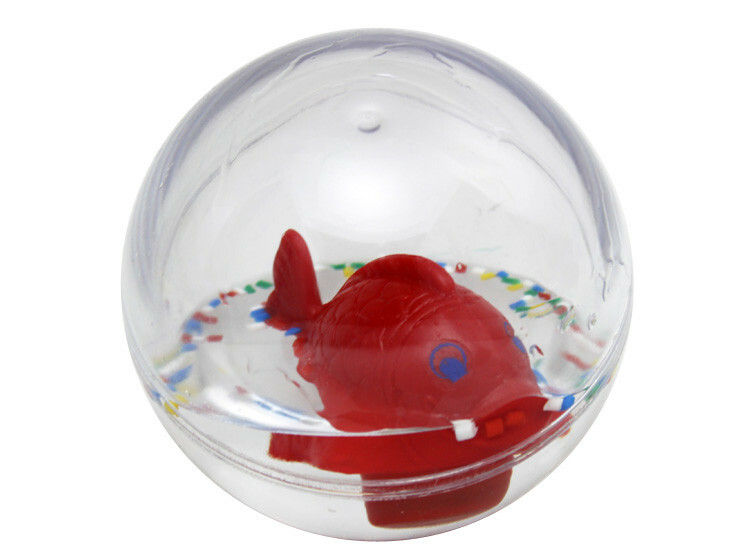 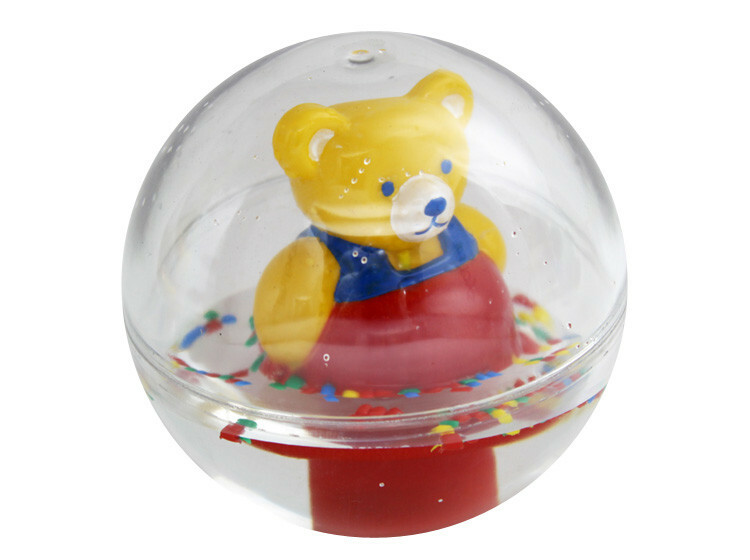 The ball has a 10cm diameter and floats on water. 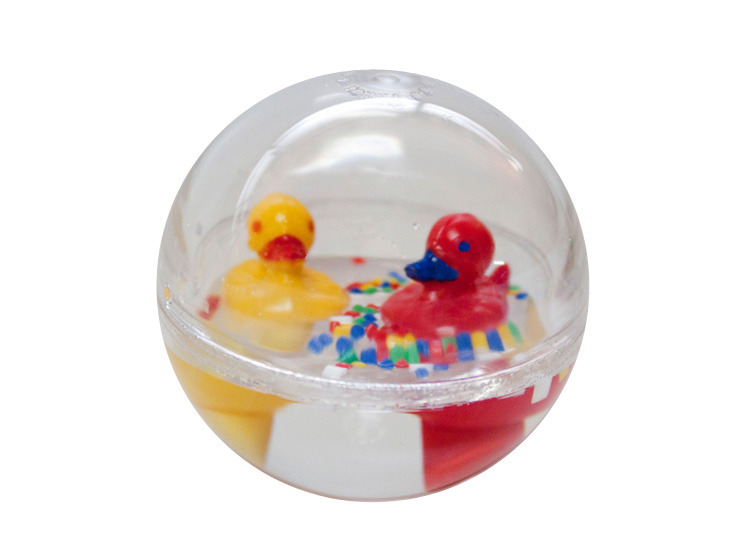 Fun play for the bath, floor or cot.